Many people want to buy bitcoin using Paypal, or to sell their bitcoins for local currency payments to a Paypal account. But it can be a risky business for the person selling coins, and because of this there are not many places that will accept this payment method. In this article I will introduce you to what I think are some of the best methods to buy or sell bitcoins using Paypal, but first you should understand the risks. The reason why accepting Paypal payments is risky for the person selling coins is because Paypal payments are easy to reverse, while Bitcoin payments are irreversible. That means that a buyer can take the coins and then reverse their payment, effectively giving them free coins and leaving the seller out of pocket. It can be difficult if not impossible to challenge these reversals because they only really accepts postal tracking as a way to prove you provided a product that you took payment for. It is also true that Paypal accounts are more commonly hacked than bank accounts – and you can’t challenge a reversal when the payment was initiated by a thief. Despite these problems it is still possible to use this convenient payment method. Having said that, buyers will always have to pay some kind of premium in return for this convenience. If you are looking to buy and you have access to internet banking then you should probably consider other options first. If you have internet banking then using national bank transfer through a peer-to-peer exchange like localbitcoins.com or Bitsquare may well be a better option for you. This way you can avoid the long wait and fees that are often associated with depositing to a centralized exchange, making it almost as convenient as Paypal and almost certainly cheaper. 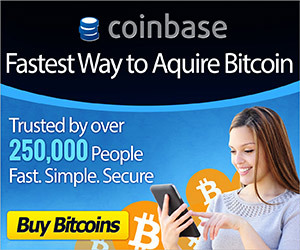 Alternatively, if you are looking for maximum convenience some exchanges like Coinbase allow users in supported countries to purchase instantly using a debit or credit card (although this is also more expensive than a regular bank transfer). If you don’t have internet banking, or are just looking for the quickest way to get money from your Paypal balance into your BTC wallet, then there are a few options available. LocalBitcoins.com, which I already mentioned above, does have some sellers willing to accept Paypal payments. Often the price they will offer you includes a very high premium, but sometimes an offer will pop up with a more reasonable price so I think it is always worth checking what offers are available and comparing it to other options if you want to get the best deal. There are also specialist exchanges which offer this service. Because these services generally have more advanced methods for weeding out fraud they can usually offer a better price than a peer-to-peer exchange. One option that I have tested out is xCoins.io. This service has an unusual system whereby purchases are effectively structured as a kind of loan. Basically this means that the buyer ‘borrows’ the bitcoin and authorizes a payment from their account to pay back the value of the loan along with the fees. The advantage of this for the buyer is that if you choose to you can decide to pay back the bitcoin and only pay the fees (for example if you find a better price elsewhere), or alternatively you can make the full payment and keep the coins. Although this may sound complicated, its actually very quick and easy to buy using this method. The same options are available for people looking to sell their coins. If you decide to sell through localbitcoins it is free to create an advert and post it on their site. You should be sure you understand the risks, however, and set your price at an appropriate level to absorb losses due to fraud. I would not advise beginners to use this method. Also, if you are new to the site your will have to make a few trades through other people’s ads before you post your own in order to build your reputation, otherwise you are unlikely to get any sales. Using xCoins.io is pretty easy for sellers. The site presents the process of selling as an ‘investment’, as they envisage people selling constantly through them and then going elsewhere to replenish their coin supply by making purchases using lower cost methods (such as bank transfers on localbitcoins as described above). But of course you don’t need to do this, if you just have a fixed amount you want to sell as a one-off you can still use their service. You can select individual offers or automate the process to take the best price available at any given moment. Of course you will get payments reversed – don’t panic when this happens! You can still make a profit overall as xCoins set their prices to account for these reversals, as well as doing a reasonable job of keeping them to a minimum. Most purchases are quite small, so as long as you are selling a reasonable amount (>1 BTC) you stand a good chance of getting enough good sales to make up for the losses, and the more you sell the lower your risk will be. Once you’ve created your accounts and associated your Paypal address you can set ‘lending’ limits for automated selling or create your own individual offers with your preferred interest rate. In case anyone has any questions i can answer amature investor to amuture investor. I definately dont have all the answers but i will try to find them out if i can. I should probably say i dont represent Xcoins in any professional capacity, except an affiliate. If it’s thats not appropriate, Mr walsh for me to post my email or info here. i give you permission to remove it and thank you for the review and the opportunity to comment. Anyone did use http://www.x-crypto.com? They offer Paypal receiving at good rate. Can I trust them?